Waupun – At an open meeting on August 14, 2018 the Waupun Area Board of Education selected a candidate to fill the vacant, designated City of Waupun seat on the Board. 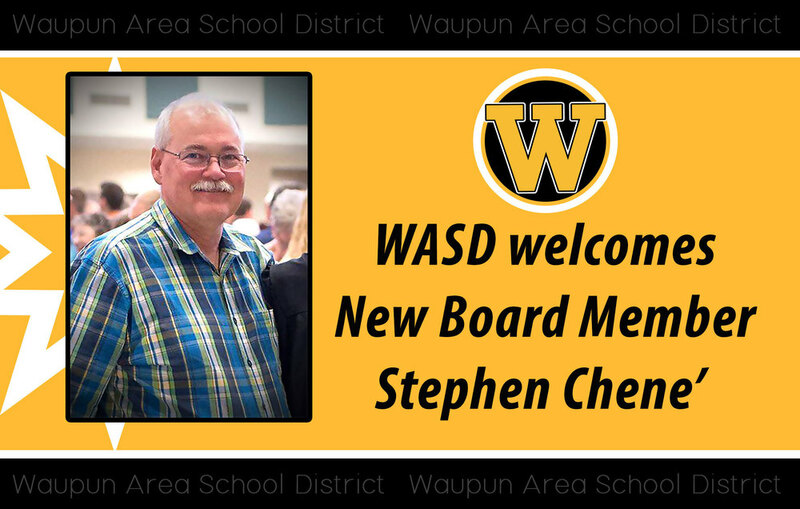 Mr. Stephen Chene’ of Waupun was selected and accepted the position. He was sworn in on Friday, August 17, 2018. The vacancy on the Board was caused by the August resignation of Glen Wilson from his Board position. In accordance with Board policy, WASD Board of Education sought applications for interested City of Waupun residents. Three applications were received by the deadline (August 10, 2018). Upon deliberation, the Board of Education selected Mr. Chene’. Mr. Chene’ will serve on the Board until April 2019. The seat will then be filled by a general election of the voters on April 2, 2019.